By Glenn Miller. Edited by Myles Collins. 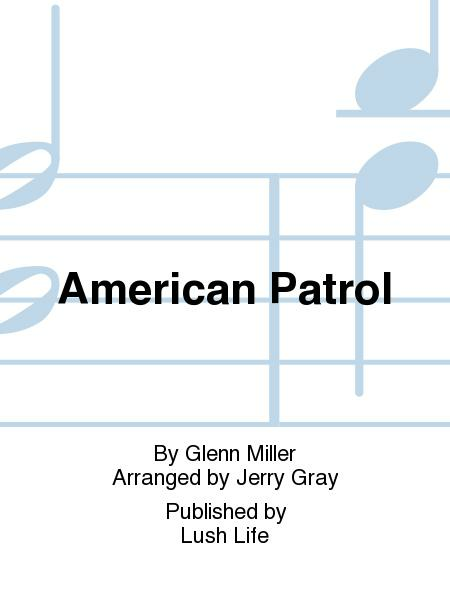 Arranged by Jerry Gray. Swing. Full score and set of parts. Published by Lush Life (JL.LL-1003). 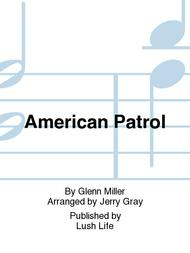 American Patrol - but everybody's got that in their library. Well, yes and no. There are many bands using a 'stock' dance band arrangement originally written for 5 saxes and 5 brass, and possibly then adapted for a bigger band. The problem is that it's 'wrong' on a number of counts, not least of which is that the correct key is Bb. The stock was in Ab and made many sectional passages lumpy and tricky to play. We have faithfully reproduced the original for you here, scored the instruments properly and tidied up the wrong notes and chord progressions. All of the expressions and dynamics are in place and easy to read. This is a really good value for money chart and will give your band the authentic Miller sound when you play it. Lead Alto doubles Clarinet, Baritone sax doubles Alto. Trumpet solo written for 2nd part, and cued on lead part. Ranges: Trumpets 1-4: D5, C6, G5, G5 Trombones 1-4: Bb4, G4, Eb4, C4.